con·tent (kOn-tent) 1. n. The subject matter of a written work, such as a book or magazine. Often used in the plural. The substantive or meaningful part: “The brain is hungry not for method but for content, especially content which contains generalizations that are powerful, precise, and explicit” (Frederick Turner). 2. (kon-tEnt) adj. Desiring no more than what one has; satisfied. So what is it that drives a person to spend an inordinate amount of time ruining their eyes, staring at a flickering glass odeon of this modern age? What gives life to the electromagnetic pulses that the same person willingly stares at regularly? Focus falls so easily on the aesthetic. Chefs of the web-cuisine are famous for their ability to garnish and complement, taking just the right amount of sage skills and time, and blending wondrous “side dishes.” Admiring the work that goes into the beauty is so ingrained…but what’s the entree? We so often talk about design, structure, planning, and suitability here, that the real meat of the meal gets lost in the shuffle. I said the rules were simple. I didn’t say the game was easy. So what’s the point in all of this? What is it that makes for “sticky” sites? Well that’s the Holy Grail of it here, in this silicon space. Web writing is not hardcopy writing. Web writing is not brochure writing. Web writing is web writing (apologies to Yogi Berra), and with it comes a new set of guidelines and pitfalls. In school most of us were taught that sentences were best written to varying length, but often ran long in our own work to accommodate the audience’s (that is, the teacher’s) desire for “information.” Paragraphs were just constructs of three or more sentences strung together through a common theme. Essays were lengthy diatribes only written for the most boring intent, and pedantic testing… err wait. Essays were a bunch of paragraphs with a basic focus and repeated thesis. Well it’s one of those anyway. If we look to that same-schooled structure, it’s remembered that paragraphs often ran seven sentences or more to fully elucidate and illuminate the point. Being precise was more important than being succinct, and often points were given for redundantly making redundant statements of redundancy. Say, do I get a gold star now? What wondrous things we learned, now thrown away with your long forgotten protractor, and that useless pink eraser! Web audiences expect a point to be made as quickly and pointedly as possible. Little time is wasted on the precise minutiae unless someone cares to dig deeper into the structured work and site. Attention-Deficit Disorder is more often the overpowering inertia of the user when looking for their daily dose. We are a band of net junkies working on the input “fix”, and somehow we abhor the search for information on a site after we’ve already searched for the information that got us there. So, short and sweet is the order of the day? Well, not really. See, that “discerning” part I mentioned earlier means that the audience, indeed, wants their information like fast food at the drive-thru…but they expect the fast food to be filet mignon, with capers and merlot. Ours is not an easy trade. Users are adept at searching for a plethora of information these days. With tools as intuitive and useful as Google out there, it’s a far cry from hunting through a card catalogue that seemed always to be organized by a librarian myopic in many ways. (No offense is intended, since we here at Digital Web know and admire many wonderful librarians.) The audience is expecting to be mystified, or educated, entertained, or edified. Whether it’s a personal weblog, or a massive informational database, no one is going to find their contentment with second-rate information or writing. Being an expert is mandatory, being excellent is damned near expected. Short, sweet, and informative. Sounds simple enough. So it would be, if only it was that easy. You’ve got your knowledge, your stories, your tutorial, all wrapped in a fine little bow, with compact blocks of text…and you’re not done. That same demanding audience craves literary ability. They’ve read thousands of pages on that plastic and glass box by the time they get to your snippets of enlightenment. They shall judge, with stones in hand, precisely how well you captivate them. Keeping in mind that “succinct” is the word of the day, we have to consider flow, and style. Interjecting personal voice when necessary, as well as lending a certain bit of humor when appropriate, or sullen introspection when it isn’t, is demanded. 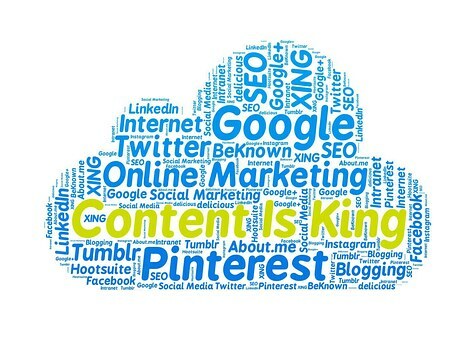 “Content is King”…but you’d damn well better know how to create it. People DO expect Hunter S. Thompson in digestible cubes of ASCII text…it’s our job to either give them that, or something much better – a bit of originality, personality, and passion. Those who do not update, die. It’s a simple cliché, and more true than I, or others would like to admit. In a dynamic medium, that which stagnates is just fodder for the minority to chew on. If a user is treated to a sluggish update schedule, or even an inconsistent one, they will dive from your pixels like rats from the proverbial Titanic. Keeping a regular schedule of updated information, as well as “outsourcing” – like we did last month! – is a vital task. If you continue to feed the beast, it shall grow… the audience… is listening. Now we have epic writings in encapsulated bits, with great basis, given regularly. Getting more improbable, but still a task worth tackling. Oh, did I mention how thankless most of it will seem at times? The massive amount of time, energy, and blood that you pour into the design of a site will ultimately pale in comparison to the sheer amount of soul that you will need to give to the content that keeps the audience contented. Dress the site in shimmering hues, but if you can’t give good copy they will forget you at the first available chance. However, if you do it right, if you make them want just enough to salivate, just enough to search their own satiation at the end of your present work, you’re shining. So to that, I tip the hat, tell you that the task is beautiful in itself, and grin, knowing that I succeeded this time at least.